Photographs in Baghdad, February 2003. 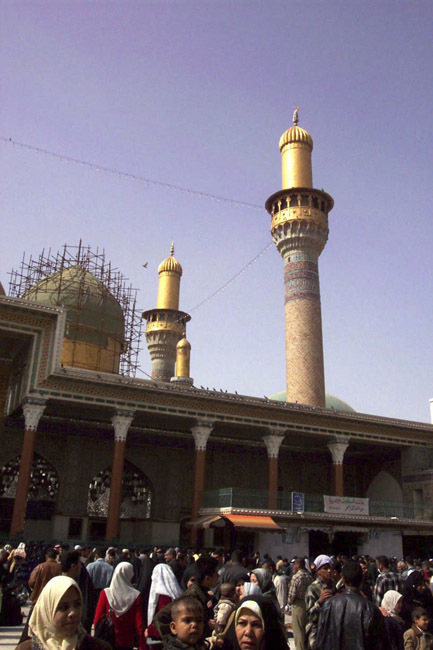 A view from the courtyard of the al Kadhimain shrine in Baghdad. Two of the twelve Shiite Imams are buried here. Tradition has it that prayers offered at their tombs are especially effective.